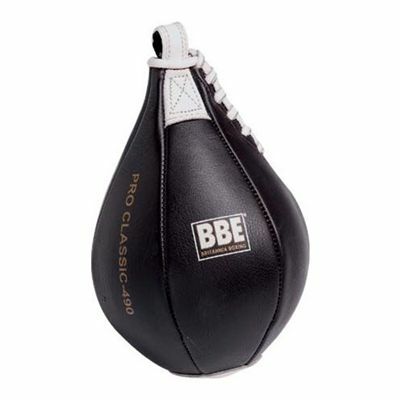 The BBE Pro 6 inch leather peanut speed ball is manufactured from leather for superior durability and feel. This 6” (15.2cm) speed ball is great for improving boxers’ overall hand-eye co-ordination and for learning to shift weight effectively between two feet. The speed ball is lightweight (0.20kg) and features machine stitched seams for enhanced durability. In addition, it offers re-enforced handing loop with a heavy duty webbed lining and is equipped with a Latex rubber bladder. for submitting product review about BBE Pro 6 Inch Leather Peanut Speed Ball.